AS BREXIT day approaches (we hope) the debate on the pros and cons of a No Deal WTO Brexit seems to grow ever more shrill. Project Fear Mark 2, the direct descendant of the wholly discredited pre-referendum Project Fear Mark 1, has been ramped up, to scare us all. Doubtless, there would be some disruption in the event of a WTO Brexit as businesses adapt to the new set of circumstances. But businesses are good at adapting, otherwise they do not survive. And I would expect such disruption to have broadly dissipated within six months. Moreover, we know that both the British civil service and the European Commission are stepping up their No Deal preparations, as they are more than aware that such an outcome is quite possible. The scaremongering is not just absurd, it is highly irresponsible. Suffice to say that there are many in the business community, including the lobbying bodies, who are signed-up and enthusiastic members of Project Fear Mark 2. A very noble exception is Lord Bamford, chairman of JCB, who wrote recently in the Daily Telegraph that, even though he had originally supported the idea of a free trade agreement with the EU on Brexit, this was clearly not on offer and a No Deal Brexit would end the current business uncertainty. But he is in a minority. A more usual response is outright hostility to No Deal. Take, for example, a recent press release from the Chemicals Industries Association (CIA) which said ‘. . . for chemical businesses and hundreds of thousands of manufacturing jobs across the country, leaving our biggest trading partner on 29 March without any agreement is an economic price that is just too high to pay’. Oh dear. Of course, it is not too high a price to pay. The chemicals industry, as with the rest of UK business, already exports across the globe, trading with non-EU countries, basically under WTO rules, as well as with EU countries. Indeed, in 2017, over 55 per cent of our total exports (goods and services) went to non-EU countries: over 50 per cent of goods and over 60 per cent of services. It is quite clear that business, including manufacturing, is more than capable of trading across customs borders and outside the EU’s Single Market. The ‘costs’ and ‘frictions’ of trading across borders have been grotesquely exaggerated to justify a ‘soft’ BRINO Brexit. Moreover, our trade with non-EU countries is growing more quickly than with EU countries, reflecting the better growth prospects outside the EU. Note too, these data probably overstate the significance of goods at the expense of services, reflecting the fact that exports of goods tend to have a significant import content, whereas services do not. A major OECD-WTO study on trade in value added (TiVA) concluded conventional trade accounts significantly underestimated the importance of services, and overestimated goods, in global trade. As a direct consequence of the superior growth performance of exports to non-EU countries, the share of UK exports to the EU is in decline. The share of goods and services fell from 55 per cent in 1999 to under 45 per cent by 2017. The decline in the goods share dropped from 61 per cent in 1999 to around 48 per cent in 2017, whilst the change in the services share was less marked, tendering to hover around 40 per cent. But services are growing significantly faster than goods, and with 50 per cent more services going to non-EU countries than to EU countries, services have also contributed to the declining share of total trade going to the EU. These are the bald facts of trading life, with which, one assumes, business lobbying bodies are familiar. It cannot be said too many times that under a No Deal Brexit, we would be able to negotiate our own trade deals with fast-growing, buoyant non-EU countries, a freedom which would be seriously compromised under the Withdrawal Agreement and, arguably, under whatever ‘future UK-EU relationship’, which may or may not be agreed. Surely, the CIA, as other business groups, should be pressing the Government to push ahead with new post-Brexit trade deals, and savouring the opportunities they would provide, rather than scaremongering. Exports are important. It is instructive to note, therefore, just where our exporting strengths lie. 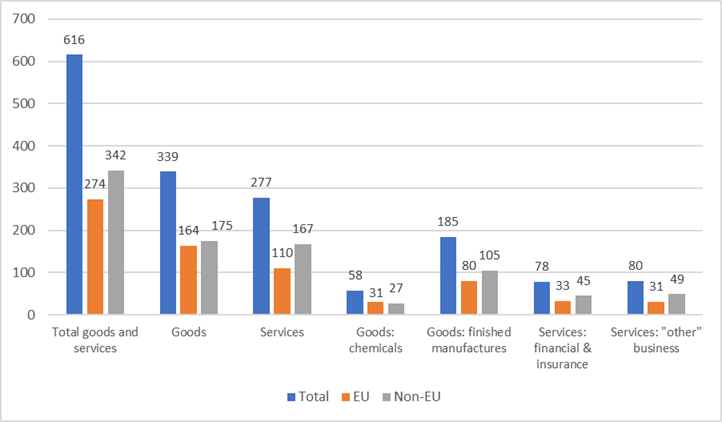 Chart 1 shows the relative sizes of total exports, goods and services, with the EU/non-EU breakdown. Within goods, chemicals and finished manufactures (including cars) have also been included and, within services, financial services (including insurance) and ‘other’ professional services (including legal, accounting, management consulting, architectural and engineering services). Firstly, concerning goods, total exports to non-EU countries modestly exceed those to EU countries, though note 60 per cent of finished manufactures go to non-EU. Specifically concerning chemicals, over 46 per cent of exports go to non-EU countries! As said above, the chemicals industry is well acquainted with trading across the globe, so for the CIA to suggest a No Deal Brexit is ‘too high a price to pay’ is simply bizarre. Secondly, turning to the more buoyant services, exports to non-EU easily outstripped exports to the EU in all the major categories. These are the growth markets of the future. Moreover, note that exports of both financial services and ‘other’ professional services easily outstrip those of the chemicals sector, important though it is. Finally, note the huge significance of the US for our services exporters. In 2017, there was over £60bn worth of UK exports, by far the largest individual country market. Exports to Germany, the second largest market, were nearly £20bn. Source: ONS, “UK Balance of Payments yearbook (Pink Book)”, 2018 edition, tables 9.11 and 9.13. 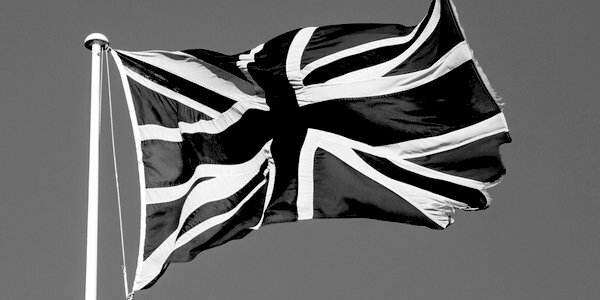 There is no doubt that exports contribute greatly to the UK economy. I would not suggest for one minute they did not. Exports, on the conventional trade accounts, represented about 30 per cent of GDP in 2017 (GDP was £2,050bn in current prices) and exports to the EU about 13 per cent. (Imports from the EU exceeded exports, thus trade dragging on GDP, but that is another story.) And exports of chemicals to the EU, for example, accounted for 1.5 per cent of GDP, which is significant by any standards. In conclusion, exporting businesses do themselves no favours by campaigning against Brexit or, more generally, a No Deal Brexit. It is unconvincing and unproductive. We know they trade just as much to the non-EU as to the EU, if not more so, suggesting the difficulties of trading across borders have been grossly exaggerated for political reasons. Moreover, trade to non-EU countries is expanding more quickly than to EU countries, despite the alleged horrors of trading outside the Single Market. They should, instead, look to the future and the opportunities a clean Brexit can deliver, not least of all free trade deals with friendly, growing countries. It is time to be positive. I would have preferred, as would Lord Bamford, to leave the EU with a Canada-style free trade agreement but that is currently not on offer. So a No Deal exit it must be.